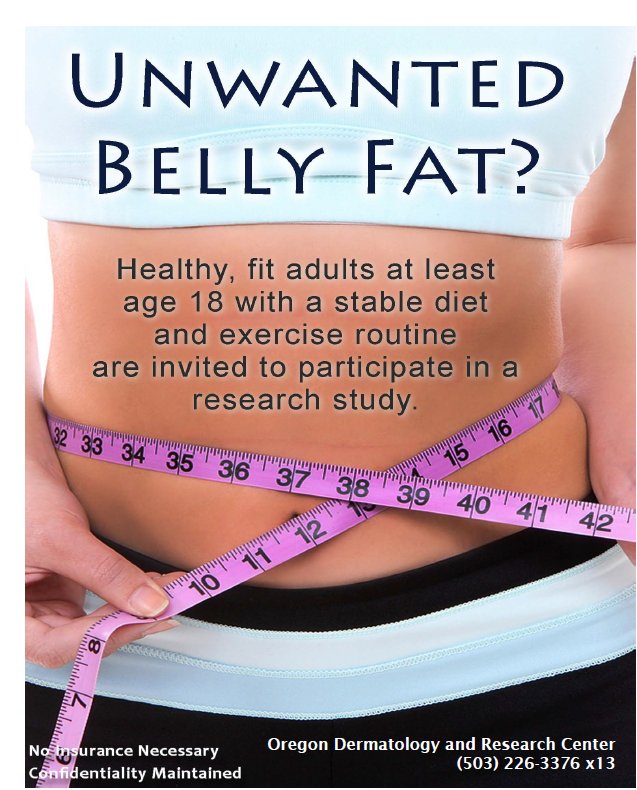 If you are a healthy male or female over 18 years of age with an unwanted abdominal bulge, you may qualify for a clinical research trial being conducted by Oregon Dermatology and Research Center. In addition to the above, your Body Mass Index (BMI) must be <30. Click here to calculate your BMI. Call our new research patient line to see if you qualify!